The days where the only things you could get from a vending machine were snacks, soda and cigarettes are gone, replaced with a modern version of unattended retail. Traditionally, unattended retail meant vending machines, laundromats and small mini-stores. Items that had to be purchased using coins and cash. Today, unattended retail is exploding as all segments of retail and food services examine the many new revenue opportunities. 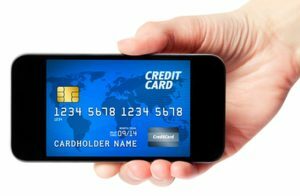 The ability to use plastic cards and mobile wallets has only increased the speed in which this transformation is taking place. Unattended retail is now benefiting from the same trends that make Amazon Go – Amazon’scashierless stores – possible. However, the question now is, is there room in the market for both models? In January last year, Amazon opened the first Amazon Go in Seattle. Since then, Amazon Go has been brought to other locations in the city of Chicago, with another location planned for the Lower Manhattan. The eCommerce retailer is also looking at opening 3,000 stores in the future. Arguably, Amazon is responsible for popularizing the cashierless store concept. While Amazon is credited with making consumers aware of cashierless checkout, a similar idea is now being applied to unattended retail on a smaller scale. Consider DeepMagic, for example. DeepMagic provides a platform for retailers to offer their customers grab-and-go transactions through kiosks. The company’s Co-Founder and CEO Bernd Schoner says that keeping its kiosk relatively small in size enables them to bring the concept to a variety of places. 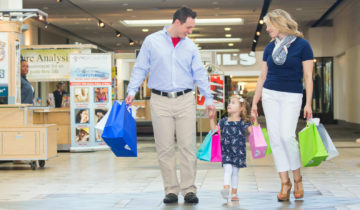 But is Unattended Retail Really Growing? According to experts, the answer to this question is yes. They feel that unattended retail will continue to grow right along side giants like Amazon Go. How? They are driven by the same things: trends, technology and every-changing consumer demands and preferences. Unattended retail is a segment that retailers are paying a lot of attention to now, and they will continue to do so. “There was a time when market share for vending was shrinking because people were looking for a more customized experience in store. 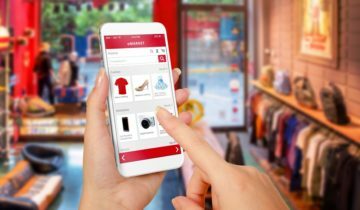 But what’s happened with online shopping, mobile shopping and smartphones is that retailers have come to learn that they can still deliver that customized experience to the customer without having to have a person standing physically in front of them,” explained Maeve Duska, SVP of Marketing at USA Technologies. Does your small business need more information about the changes in the retail industry, the latest updates in payment processing solutions, or a place to go for retail merchant service review? If so, be sure to checkout the many reviews and information Best Payment Providers has to offer. Author Bio:Payment industry expert Taylor Cole is a passionate merchant account expert who understands the complicated world of accepting credit and debit cards at your business. His understanding of the industry and retail merchant services review has helped thousands of business owners save money and time.